The Traxx Mobility Systems Titan 500 Overhead Patient Lift allows for a more comfortable transfer experience while eliminating injuries and increasing efficiency. This allows for more mobility and less physical work for the caregiver. The simple system fits easily in to the home health care environment and installs and stores easily. The heavy duty motor quietly and gently lifts up to 500lbs while the track system reduces friction and allows for a simple transfer from bed to wheelchair. The padded and adjustable slings are machine washable and mildew resistant. The overall experience is calming and comfortable for the patient. Designed and built to be reliable, the system does not require a power outlet to run. The lift motor is battery powered and easily recharged. The system will run for days on a full charge even with several transfers daily. Charging is as simple as plugging in to an outlet or, in the case of power outage, in to a generator. 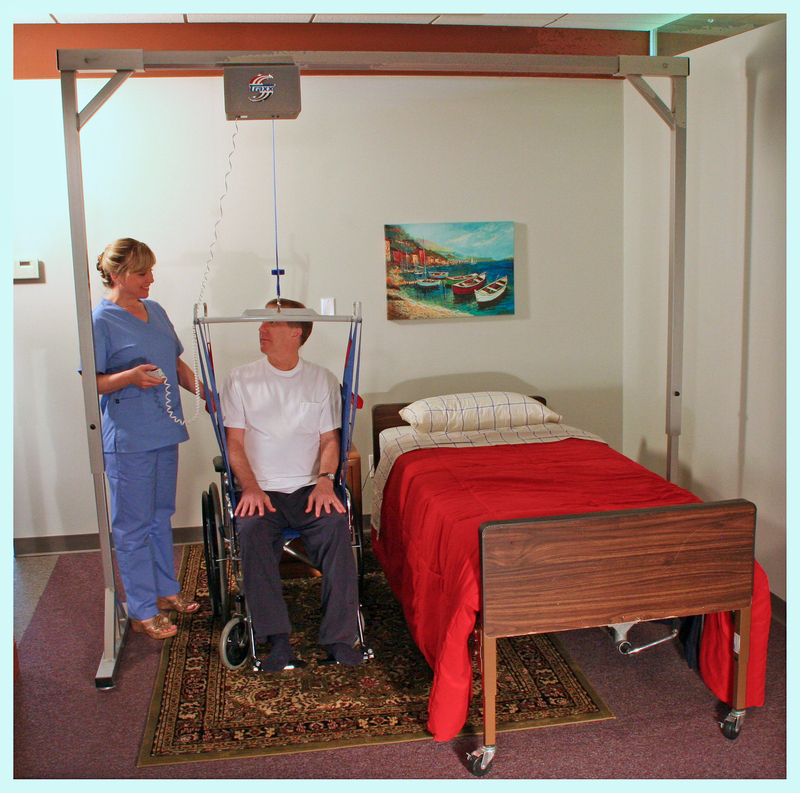 The Traxx Mobility Systems Overhead Patient Lift System ships directly to you as a complete system at a fraction of the cost of other freestanding overhead patient lifts. There are no hidden extras. No a la carte pricing. Our system includes the track, motor, lift bar, remote and your choice of sling type and size. Visit our website, check out our Facebook page or watch our YouTube channel.